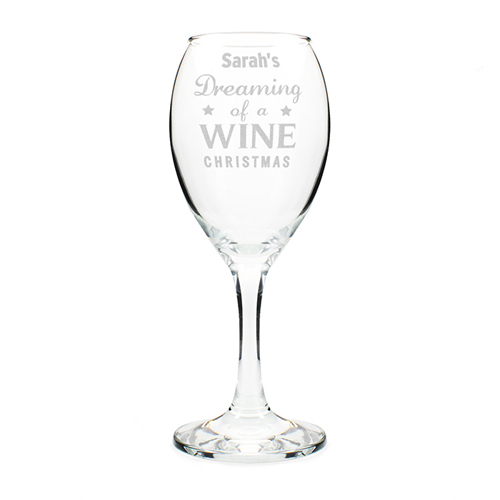 Personalise this 'Dreaming of a Wine Christmas' wine glass that features a vintage style Christmas message, with a name up to 12 characters. If you require an apostrophe in the name, please enter it in the personalisation. Personalise with a name up to 12 characters.